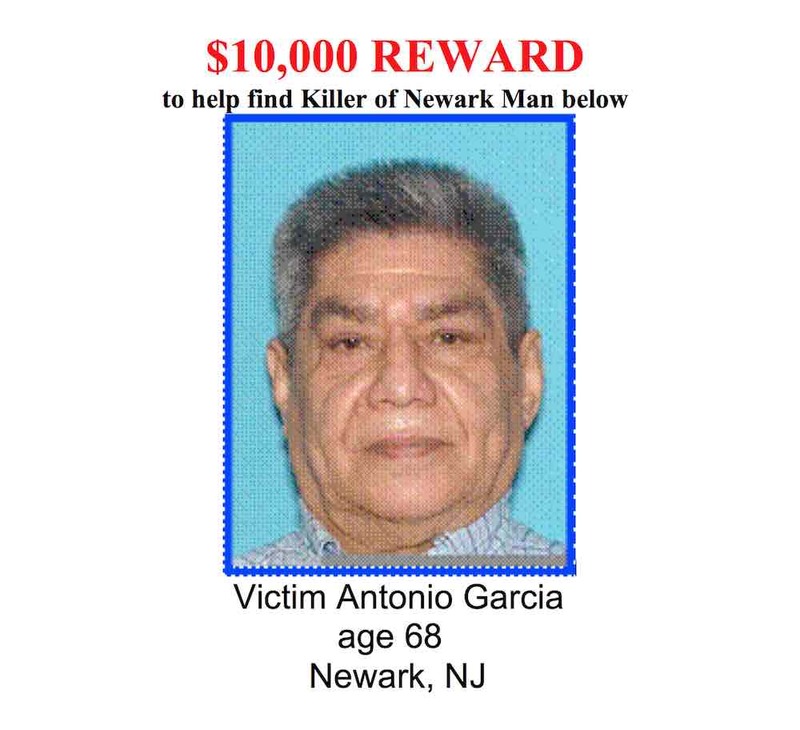 Newark – Essex County Sheriff Armando Fontoura’s Crimes Stoppers Program is offering up to $10,000 for information that leads to an arrest and conviction in the death of Antonio Garcia, 68, of Newark. On Oct. 8th at approximately 1:00 am the victim was involved in an argument with another individual in the parking lot to the Walgreen’s store located on Irvington Avenue and Manor Drive in Newark. The male suspect was wearing a long green coat, blue jeans, black shoes and dreadlocs. The female suspect was wearing white pants, black heels and a short black coat. During the argument, Garcia was struck by the individual and fell to the ground, striking his head on the ground. Since the encounter Garcia had been unresponsive and unable speak. On Saturday Nov. 5, Garcia died from the injuries he sustained in the assault. Investigators are seeking the public’s assistance in solving this crime. Anyone with any information about this incident is asked to contact the Essex County Prosecutors Office at 1-877-TIPS-4EC or 1-877-847-7432. Newark Public Safety Director Anthony F. Ambrose reports that police are seeking the public’s help in gathering information regarding the below pictured vehicle and two suspects in an aggravated assault that occurred on Saturday, October 8, 2016.